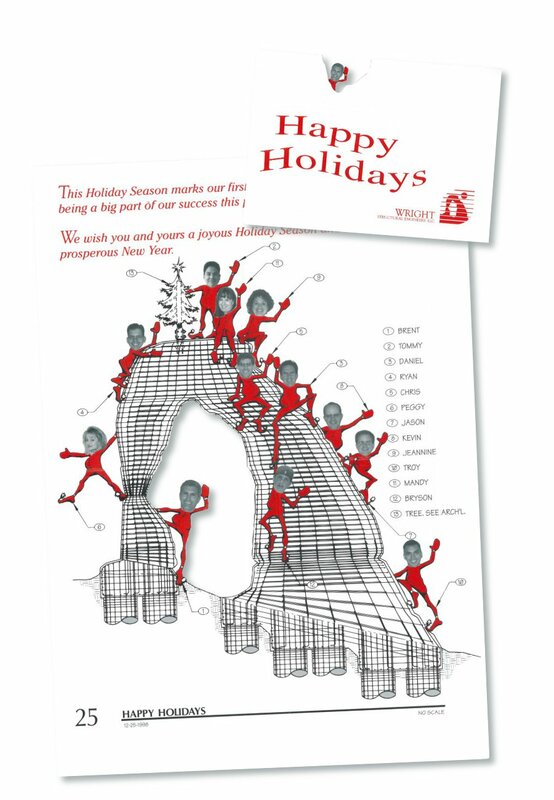 Wright Engineers' first Christmas card marking our one year anniversary. We started the year with three people and ended with twelve. Our logo used to be Delicate Arch located in Southern Utah (you know, a structural element found in nature, beautiful, withstood the test of time, etc.). I used to joke that the arch was one of our first structural engineering projects, so I decided to draw the reinforcing we "designed".